Last year the Canucks selected defenceman Olli Juolevi with the fifth overall pick in the NHL Entry Draft. It was the second time in franchise history Vancouver drafted fifth overall and the first time since 1999 the Canucks held a top-five pick. That year they took a pair of twin Swedish forwards. It worked out pretty good. The Canucks come into the 2017 NHL Entry Draft selecting no worse than fifth overall with a 30.7% chance they'll pick fifth again. If that's the case, history indicates there are some steals to be had. We'll find out Saturday, April 29th, when the draft order is revealed. Canucks.com went back and took a look at some of the best players to ever lace them up that were drafted fifth. The list includes Hart Trophy winners, Vezina Trophy winners, Stanley Cup winners, Conn Smythe winners, Olympic gold medalists, and on and on. It seems crazy that Jagr was available with the fifth overall pick after posting 18 points in seven games at the World Juniors earlier that year. He sits second all-time in points (1,914) and third in goals (765) and is one of only five players in the history of the NHL to record 200 post-season points. All this despite spending three seasons in the KHL and going through three lockouts. 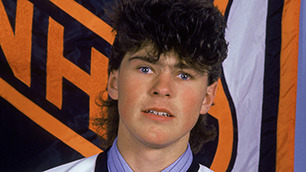 Jagr has won a pair of Stanley Cups, an Olympic gold medal, five Art Ross Trophy's, a Hart Trophy, three Ted Lindsay Award's, and has been voted to the NHL First All-Star team seven times. Perhaps one of the most feared hitters in the history of hockey, Stevens put together a career that lasted 1635 regular season games and 233 post-season games. 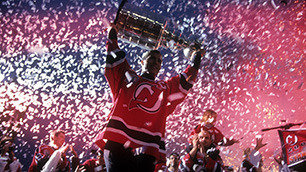 He spent 12 seasons as the captain of the New Jersey Devils, winning three cups along the way, along with the 2000 Conn Smythe Trophy. Although remembered most for his bone-crushing hits, especially in the playoffs, Stevens was also productive offensively, registering 642 points in his first 911 games. He finished his career with 908 points and 2785 penalty minutes. Stevens was inducted into the Hockey Hall of Fame in 2007 in his first year of eligibility. Fresh off appearing in a whopping 63 games as a 17-year-old with the Tri-City Americans, the Canadiens landed their goalie of the future with the fifth overall pick in 2005. 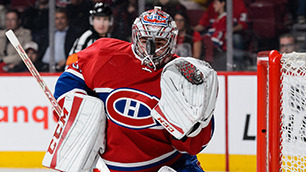 Price has emerged as one of the best, if not the best, goaltender in the NHL at the moment. He won gold with Team Canada at the 2007 World Juniors and was named the AHL Playoffs MVP after backstopping the Hamilton Bulldogs to the Calder Cup Championship at the age of 19. The Anahim Lake, BC product was named to the NHL's All-Rookie Team in 2008, won a gold medal for Canada at the 2014 Olympics and won the Hart Trophy, Ted Lindsay Award, Vezina Trophy and Jennings Trophy in 2015. And he's just 29-years-old. 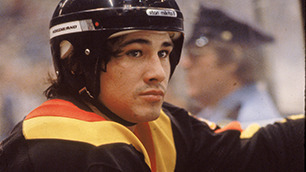 The Canucks drafted Vaive fifth overall in 1979 and after 47 games they traded him to Toronto along with Bill Derlago for Dave "Tiger" Williams and Jerry Butler. Williams would become one of the most popular players in Canucks history and help the team get to the 1982 Stanley Cup Final. However, Vaive flourished with the Leafs. He became the first player in franchise history to score 50 goals, something he did in three straight seasons. He finished his career with 441 goals and 788 points in 876 games. We are going back a bit with this one. 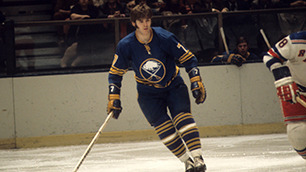 Martin played on the famous French Connection line on the Sabres with Gilbert Perreault and Rene Robert. He scored 44 goals his rookie season and recorded back-to-back 50-goal seasons in 1974 and 1975. He finished his career with two 50-goal seasons, three 40-goal seasons and three 30-goal seasons. Injuries cut his career short with just 685 games, but Martin managed to score 384 goals and 701 points. He passed away on March 13, 2011 at the age of 59.